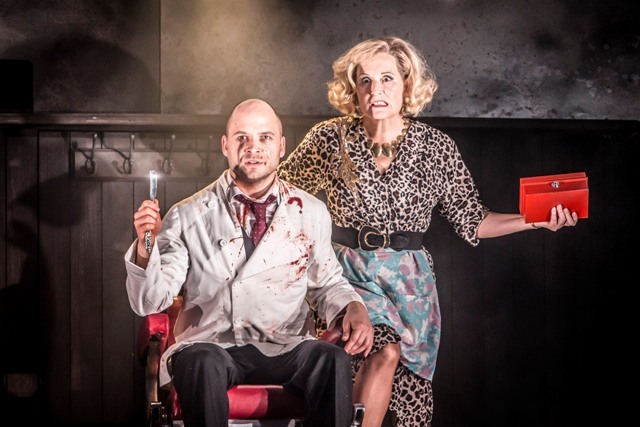 Madness and human turmoil are the focus of the Welsh National Opera's Autumn Season at Birmingham Hippodrome with new productions transporting Sweeney Todd into a Margaret Thatcher's 1980s Britain and Handel's Orlando into London and the Blitz. 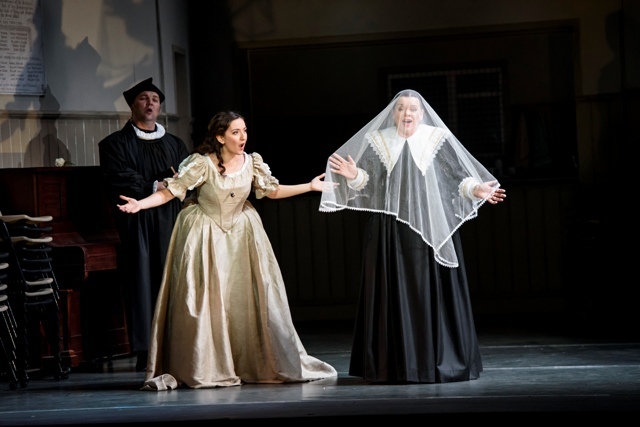 Coinciding with the WNO's 70th anniversary year, Birmingham Hippodrome plays host to the opera company's versions of Sondheim's musical on the murderous barber of Fleet Street, along with Bellini's I puritani and One of Handel's greatest operas, Orlando, from November 17 to 21, 2015. Opening the WNO Autumn Season on November 17 is a new production of Bellini's I puritani. This was the composer's final opera and is billed as a refined musical portrait of insanity in opera. The WNO has set the story in Northern Ireland in the 1970s to show heroine Elvira's descent into madness when her love life is derailed by a social divide. As Elvira's state of mind worsens, she is transported into another time of civil unrest – the English Civil War. This production is directed by former WNO staff director Annilese Miskimmon, who is now Artistic Director of the Danish National Opera, which co-produced this version. Madness is the theme of the Autumn Season, which features Bellini's I puritani. Carlo Rizzi returns to conduct I puritani while celebrated bel canto tenor Barry Banks returns to sing Arturo. Linda Richardson sings Elvira, David Kempster plays Riccardo Forth and Wojtek Gierlach is Giorgio. The second production of the Autumn Season is of Handel's Orlando, which originated at Scottish Opera in 2011. This opera is performed on November 18 at Birmingham Hippodrome. This version is set in a private hospital in 1940s wartime London and follows Orlando's descent into madness along with his recovery. Handel's divine music depicts not only Orlando's inner suffering but also a fevered anguish and is described as "encapsulating what it means to be human". 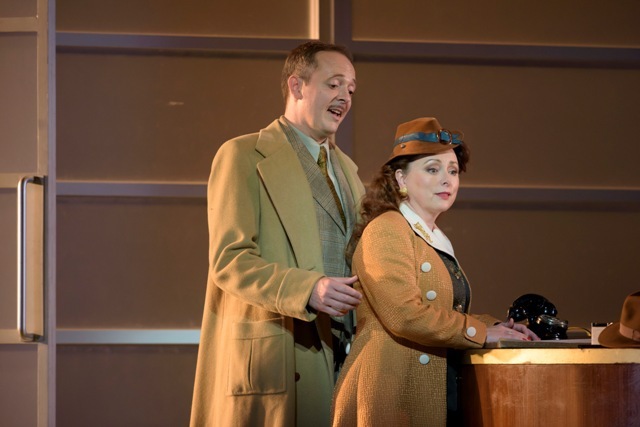 The WNO version of Orlando is set in 1940s wartime London. An impressive cast includes international countertenor Lawrence Zazzo in the lead role as he makes his debut performance as Orlando. Meanwhile, internationally-acclaimed Welsh soprano Rebecca Evans sing Angelicas and Fflur Wyn sings Dorinda, while Robin Blaze and Daniel Grice perform as Medoro and Zoroastro respectively in the production directed by Harry Fehr and conducted by Andrew Griffiths. 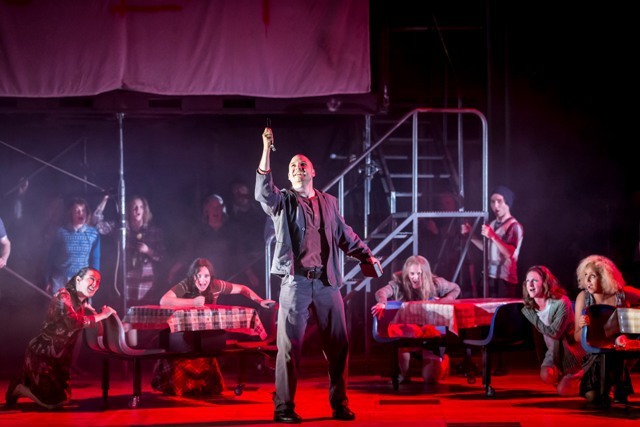 Opera singers from WNO get the rare chance to take on a musical with Sondheim's Sweeney Todd . The Autumn Season concludes in Birmingham with Stephen Sondheim's renowned musical masterpiece Sweeney Todd, performed from November 19 to 21. This production explores not only the madness of the infamous murdering barber, who kills his clients and bakes their corpses in pies with an accomplice, but also of society as a whole. Although this is a musical, it has all the emotional impact of opera and will be a rare opportunity to hear Sweeney Todd performed by the celebrated WNO Chorus and Orchestra. This production has been set in the late 1970s/early 1980s and provides a fresh take on the story with echoes of Thatcher's Britain. Opera and musical theatre singers are among the cast including German baritone David Arnsperger as Sweeney Todd and Scottish soprano Janis Kelly as Mrs Lovett. Anthony will be sung by Jamie Muscato, with Soraya Mafi singing Johanna. Speaking about the Autumn Season and depicting the theme of madness, WNO Artistic Director David Pountney says: "The paradox of music is that it is a highly rational means of expression, much more logically organised than the language of speech for instance, and yet it is at the same time the supreme means of expressing all kinds of extreme emotional states. "Among these, madness has been a constant inspiration to composers eager to test the ability of music to penetrate the most radical states of mental disorder." Mr Poutney adds: "Our season presents a fascinatingly wide range of musical expression dedicated to this phenomenon, from the virtuosic roulades of Handel, via the elegant refinement of Bellini to the raw craziness of Sondheim's gruesome Barber."